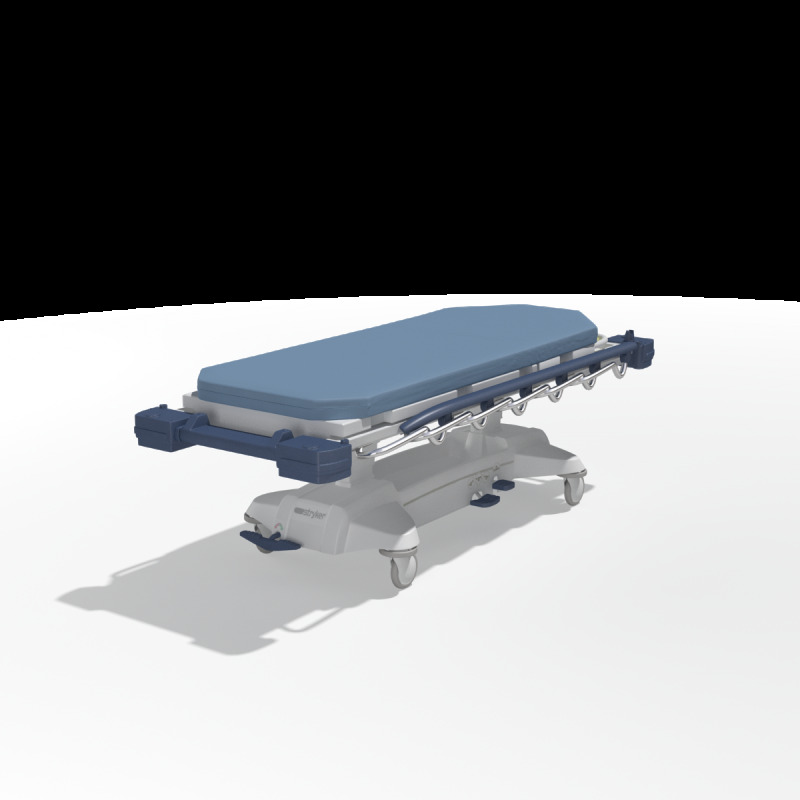 The 3D Stryker Medical Stretcher has been made in 3ds Max 2010 and is fully compatible with V-Ray 2.0. A scanline version for any renderers without V-Ray is included as well as Filmbox, .3ds, and .obj file types. Download info emailed within 24 hours. Photo-realistic and highly detailed medical equipment 3D models that allow for high quality and fast shots from far away or near. A perfect addition to your scene. The 3ds Max files contain a basic rig system and proper pivot points for easy rotation and positioning of the head rest and main section. The mattress for the stretcher includes a morph target modifier to allow it to bend to whichever angle the head rest is set to. In addition, the bed is already keyframed in various poses, as shown in the preview images. The rig system can be easily hidden by toggling the visibility of the layer. Legal Notice: The intellectual property depicted in this model, including the brand "stryker", is not affiliated with or endorsed by the original rights holders.